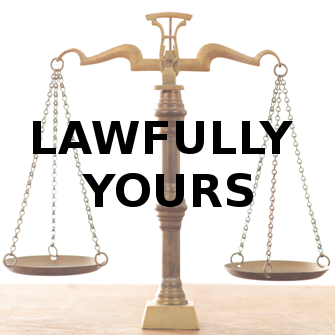 ‘Lawfully Yours’ guide released for the general population! It contains invaluable information for all Americans. Since the founding of our country, the ‘elite’ (and their robber baron partners) have fabricated our history, taken control of our economy and altered our form of government and legal system. The whole rather sordid tale is brilliantly exposed in Judge Dale’s The Great American Adventure – Secrets of America. The Lawfully Yours guide contains material authored by Judge Dale, retired, and strategies compiled by others familiar with the commercial nature of our courts. In it Judge Dale exposes our legal system – that we were never taught about – and reveals ways we can defend ourselves from our current parasitic corporate-government and injustice system. As Judge Dale exposes, the private BAR attorneys have been indoctrinated into believing that we have a lawful system of justice, which we do not. Their job today is to prevent the American people from understanding our reality and to keep us all locked into the legal system BAR attorneys created and were trained to implement. Our current ‘legal system’ is a fraud and it works to their benefit and to our detriment. This entry was posted in corporation, Legal System and tagged guide, judge dale, lawful, legal system, notices. Bookmark the permalink. Thank you for this, found your site through Sofia Smallstorm.